If you saw my Sunday Seven, this is the same pie! If you saw my Instagram stories and post over the weekend about the pie Stella and I made together, this is also that recipe!! A few years ago I was searching for an easy apple pie recipe on Pinterest and stumbled upon this post boasting the "best apple pie ever," so naturally I had to try it. 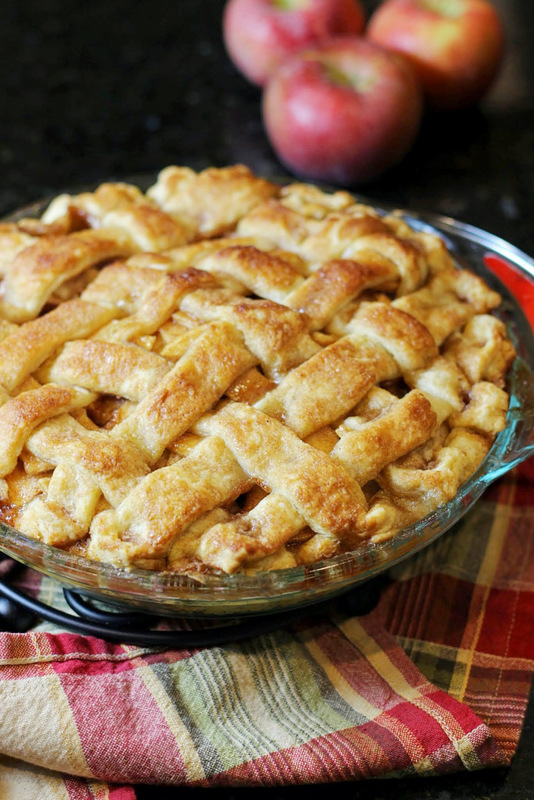 While I haven't tasted every apple pie to know if its the best EVER, it is definitely delicious, and even better, easy! I love how simple this recipe is! Aside from making my own pie crust, I follow this recipe to a T and it always turns out perfectly!! It's the perfect pie to take to a Friendsgiving or family gathering this Fall! It will definitely impress your crowd!! I love a donut of any kind, so this Baked Apple Donut with Cinnamon Sugar recipe immediately caught my eye! Last year, I bought a mini donut pan to try to make mini donuts for Stella, and decided to give these a try! They are beyond good y'all! They are soft and full of the cinnamon apple goodness you want in a Fall donut, and then taken to another level when rolled in a cinnamon sugar coating! These would be perfect in little baggies as a dessert at your Fall dinner party! I might do that for our Friendsgiving this year! A must try for sure! So I haven't personally tried this one, but a friend shared it with me, and I'm dying to try it! The name alone has me salivating!! It's also the perfect time to try that apple butter you picked up at your local farmer's market, or even better, made in your own kitchen!! Need a good apple butter recipe? Try this one! Looking for something that will make your whole house smell like Fall, but you aren't in the mood to bake? Try this Homemade Apple Cider recipe from Life is Poppin! It couldn't be easier! Simply add the ingredients together in your crock pot and enjoy the wonderful aroma and taste of Fall with little to no effort!! Plus, you can always substitute a little water with this cider in your above recipes for an extra apple kick!! These are a few of my favorite apple recipes for Fall! Have any awesome ones you want to share? I'd love to try them!